There are so many things on the market today that will clog the pores. How do you know if you are going to use something to keep your skin smooth, but wind up with blackheads and whiteheads as a result? This article looks at many common skin moisturizers and their ability to clog pores and cause embarrassing breakouts. Many people choose to use coconut oil as a skin moisturizer because it is highly absorbent, soothing, and contains compounds that can be anti-inflammatory, antibacterial, and full of beneficial antioxidants. Some people have used coconut oil regularly with no negative effects such as blemishing or breakouts of acne, however results have varied among regular users. Skin type plays a major role in how likely you are to develop acne from using a particular product or moisturizer. Naturally smaller pores are typically less likely to become clogged than larger pores, which allow in more dirt, sweat, and debris. People who have overly oily skin are also more prone to have an issue with acne and clogged pores than those with naturally clear or dry skin. Coconut it usually absorbed quickly by skin and doesn’t tend to linger on the surface of the skin like some other moisturizers may. Because of this, the likelihood of having clogged pores due solely on the use of coconut oil is unlikely but not completely impossible. You can mix coconut oil with a carrier oil to decrease the risk of clogging your pores, or also use it as a cleanser rather than a moisturizer and rinse it away. 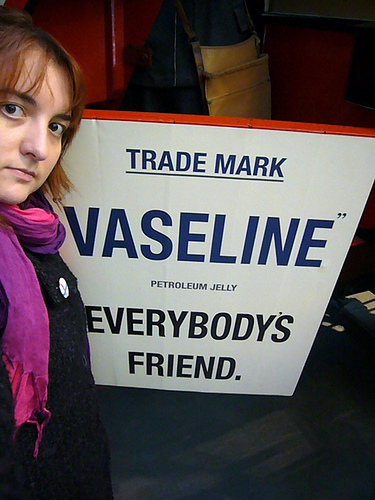 Vaseline is a brand of a substance known as petroleum jelly. It’s made from a blend of mineral oil and waxes and is commonly used to seal skin or create a barrier to protect skin from various harmful factors such as the elements. It is also commonly used to coat dry or damaged skin to promote healing and moisturizing. Some choose it to cover burns, scrapes, or other forms of damaged skin to allow the area to remain moisturized and provide a barrier from dirt and debris. More commonly however, Vaseline is used on its own as a moisturizer. You may choose to use it to treat spots, or large areas. While petroleum jelly typically has a very greasy feel and overall appearance, it is classified as a non-comedogenic. How comedogenic a product is determines its likelihood of clogging pores, on a scale from one to four. Vaseline does not rate at all on this list, meaning that it is completely unlikely to clog pores or cause acne or other forms of irritated skin. This makes Vaseline an incredibly popular option for moisturizing skin, as it has numerous positive benefits with little to no risk of clogging pores. Can olive oil clog pores? Many naturalistic websites and teachings promote olive oil for its moisturizing properties. Some references may even go as far as to say outright that olive oil will not clog pores at all. This is not true, as any substance you put on your skin has an opportunity to clog pores. Some substances may be more or less likely to actually clog pores, but all substances introduced to your skin have the ability to clog pores given the right circumstances. Olive oil is classifies as a moderately comedogenic substance, meaning that it has a moderate possibility of clogging pores or causing acne. Olive oil alone is not easily absorbed by the skin. Naturally our skin has a somewhat barrier that only allows select substances through into the deeper layers of skin. Fat soluble products of plants and oils are not often successful in getting past this natural barrier. 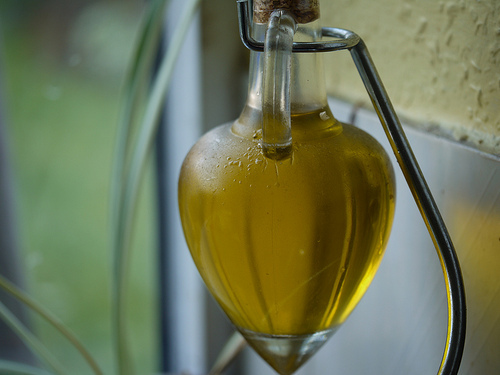 Olive oil, or mainly its component squalene, is classified as a fat soluble substance, and therefore does not readily absorb into the skin. This leaves the oil sitting on top of the skin, creating a film that traps dirt and other debris, causing clogged pores and acne. Shea butter is a commonly used moisturizer that is derived from the seeds of the Karite tree, which is most commonly known as the Shea tree. 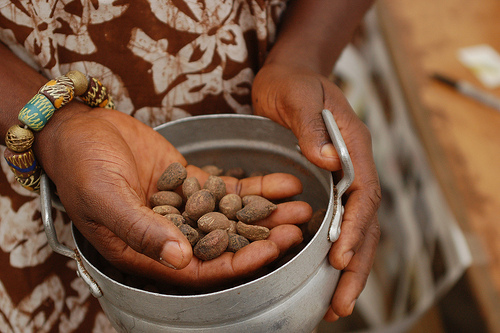 These trees are native to west Africa and shea butter is the most common derivative of them. Some people believe that shea butter has healing properties and may actually be beneficial when used in the treatment of acne. This has never been scientifically proven, however as with many substances results are typically circumstantial. Shea butter has a low comedogenic rating, making it less likely to clog pores than most other moisturized. It is easily and readily absorbed into skin without the use of an additional carrier oil, making it much more convenient. Some believe that shea butter has antibiotic and inflammatory properties and choose to use it to battle clogged pores, acne, and aging. While it is unlikely to clog pores on its own, it may contribute to clogged pores depending on the circumstances. Applying moisturizer with your hands can be counterproductive, as the hands and fingers are teeming with dirt and bacteria that can cause clogged pores if trapped on the skin by a moisturizer. Using a makeup sponge to apply is a good practice. Does mineral oil clog pores? Mineral oil is a oil derived from petroleum that is clear and odorless. I has many uses, most of which are in the cosmetic field. Mineral oil comes from the same ingredient as Vaseline, so it has many of the same properties. It is commonly used in makeup removal however because of its close relation to petroleum it can also be used to help wound healing and protection, and is used as a moisturizer. Cosmetic mineral oil has been purified, making it safe for use on the face and body. It is considered non comedogenic, meaning that it does not clog pores when used on its own. The molecular structure is rather large, preventing it from getting into pores at all. It remains on the surface of the skin. It is a common misconception that oily products will always cause acne when used on the face, however this is not true. Every person is different and so it their skin type. It has been widely found that mineral oil will not clog pores at all, however it is always wise to do a patch test before placing anything on your skin for a period of time. Your skin naturally secretes an oily substance known as sebum. It hydrates dry areas of skin and creates a barrier of protection against the elements. When sebum becomes out of balance, the result can be dry skin, oily skin, clogged pores, acne, or even a combination of all of these things. 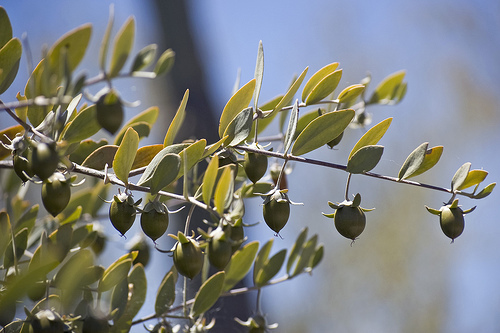 Jojoba oil is not actually an oil at all, but more of a form of liquid wax that is composed of fatty acids. This composition makes it a close resemblance to naturally occurring sebum. Jojoba oil is non comedogenic meaning that it does not clog pores. It is commonly used as a moisturizer however it can actually be very beneficial in the treatment of acne and clogged pores due to its close resemblance to the sebum that naturally occurs on the skin. It can be used as a cleanser, by using it on your face or body and then rinsing it away, or on its own as a moisturizer. By using jojoba oil, you are helping to regulate the production of sebum from your own body, therefore alleviating currently clogged pores and preventing pores from being clogged and acne forming in the future. Petroleum jelly is a substance that is commonly used to soften and protect dry, broken, or wounded skin. It is completely natural and is commonly found sold under the brand name Vaseline. It can be used on the lips and cheeks to help protect them from elements like wind when outdoors, but some people also use petroleum jelly as an all over moisturizer. Usually, it is only used to treat problem areas. It is very beneficial when used to combat excessively dry areas such as knees, elbows, and places affected by conditions such as eczema. While petroleum jelly is mostly considered to be non comedogenic by the FDA, it can clog pores given the right circumstances. When used under optimal conditions and applied with a cosmetic sponge instead of the hands as they carry excess dirt, oil, and bacteria, petroleum jelly is not likely to clog pores. However if it is applies with the hands, exposed to dirty and debris or applies excessively it could clog pores, as with any substance. Overall petroleum jelly is safe to use as a moisturizer but should be used with care. 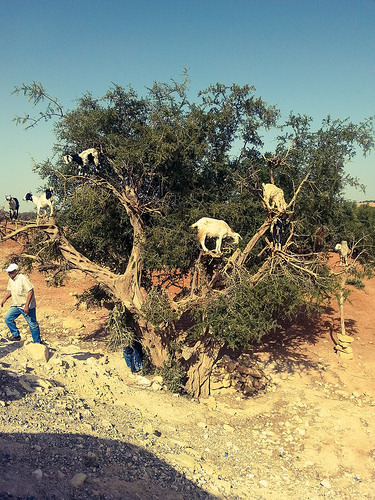 Argan oil is produced by hand from the nuts of the Moroccan Argan tree native to southwestern Morocco. If is very rich in fatty acids and antioxidants, making it a top choice among beauty experts to be used as a facial moisturizer. It promotes soft skin, makes skin more supple with greater elasticity, reduces inflammation, provides protection from the sun, can be disinfectant, and may also reduce the appearance of scars. Argan oil is a dry oil, making it absorb into the skin more effectively. Because it contains fatty acids, it mimics sebum and can help to regulate your natural production of oil. It is completely non comedogenic, meaning that it is not at all likely to cause acne or clog pores. Because of its close relation to sebum it is readily absorbed by the skin, and thanks to its antioxidant properties it can actually promote healing and reverse the effects of clogged pores, reducing blackheads and breakouts. Some choose to use argan oil as a spot moisturizer, however it is also very popular as an all over moisturizer for daily use. Argan oil can also be used effectively as a cleanser to negate the drying effects of traditional soap. Does baby oil clog pores? Baby oil is composed of virtually the exact same thing as mineral oil, only baby oil contains a small amount of fragrance and thinners to make it more practical for use on babies and children. It is an excellent moisturizer with many different uses such as a cleanser, makeup remover, conditioner, and many other practical uses. The molecular structures of baby oil and mineral oil are actually too large to fit into pores, allowing it to sit on top of skin creating a protective barrier to retain moisture and prevent damage from wind and other elements. Baby oil is non comedogenic, so therefore it is not likely to clog pores or cause acne. It is also an inert substance, meaning that when used with other products and moisturizers it will not cause a reaction. Because of all of its positive properties, baby oil is an excellent product to have in your home for many reasons. It does not clog pores, it protects skin from damage, heals previously damaged skin, is highly emollient, and serves a variety of functions. Glycerin is a sugar alcohol that can be derives from both synthetic and natural sources. It is very commonly used as a primary ingredient in many moisturizers, lotions, soaps, and other personal care products. Glycerin is a humectant, which means that it attracts moisture from the environment around you and pulls it into the skin. It is this property that makes it a highly sought out ingredient for moisturizers and cleansers. Glycerin is also beneficial for hair as well, by conditioning and drawing moisture into the hair. Using glycerin alone is becoming more and more popular among people looking to simplify their beauty routines by cutting out excess chemicals and additives that may be harmful to skin. Glycerin is capable of breaking down bundles of dead skin cells that may be clogging pores or causing issues within the skin. When used on its own in a reasonable manner, it is unlikely to clog pores. However when glycerin is added to other products, it is possible that the combination could clog pores and cause acne to develop. Pure glycerin should also be used responsibly as it could be potentially harmful to the skin. When used in hot or dry weather, glycerin can cause burns or blisters. Does aloe vera clog pores? Aloe vera was dubbed “the plant of immortality” by ancient Egyptians. It has antibacterial, antiviral, and antifungal properties. It can be used to relieve itching, burns, as a leave in conditioner, anti frizz treatment for hair, mouthwash, hand sanitizer, digestive aide, and many, many other things. It is absorbed quickly by skin, and does not leave behind a greasy feel or film. It is important that when using aloe vera as a beauty tool to always use pure aloe vera, as additives can indeed clog pores and cause breakouts. The best option would be fresh aloe in plant form, however pure aloe gel can be purchased at many stores and pharmacies. Any product with an added color or scent it likely to clog pores and negate the effects of aloe when used as a moisturizer. Pure aloe may have some additives for added shelf life, but the ingredient list will be considerably longer than the diluted aloe. When using pure aloe, you shouldn’t notice any clogged pores or additional breakouts as long as the aloe is used moderately. Using aloe vera excessively can cause it to build up on your skin and in your pores, causing breakouts. Does Castor oil clog pores? Castor oil is a pale yellow, odorless oil, that comes from castor beans. It is a very dense oil, and contains a very high amount of unsaturated fatty acids. Ricinoleic acid is a primary component of castor oil, and it contains anti-inflammatory properties. Over the years castor oil has been used to nourish and moisturize the skin, as well as to treat fungal diseases. Even though castor oil is very thick, it has a very low comedogenic rating, meaning that it does not clog pores. It has actually been praised for cleansing skin and preventing acne rather than causing it. Castor oil can be used as a cleanser on the face to help unclog pores and promote healing of troublesome areas. You may also choose to add other oils like peppermint or tea tree oil to castor oil before cleaning for their added properties however every oil has a different comedogenic rating and may increase the likelihood of receiving clogged pores or acne from its use. Most oils make excellent choices for moisturizers due to their excessive moisturizing abilities, and castor oil is a great option as it is odorless and can work as a carrier oil for additional oils you may choose to use. Does cocoa butter clog pores? Cocoa butter has been used for centuries as a moisturizer for severely dry skin. It is made from the fat derived from the cocoa bean, and is one of the most highly concentrated natural fats available for use as a moisturizer and healthcare product. It acts as an occlusive emollient, meaning that it forms a barrier over skin to prevent moisture from escaping and creates soft, supple skin. Cocoa butter is readily and easily absorbed by skin because of its ultra high concentration of fat. It melts at body temperature, son once it is applied it becomes more viscous and is more easily absorbed. Typically cocoa butter is used to help softer skin affected by serious dry skin conditions such as eczema or dermatitis. Cocoa butter is considered to be very highly comodegenic, meaning that it is very likely to clog your pores, so it is best not to uses cocoa butter as a regular moisturizer or on the face for any reason other than severely dry skin. It is most effective as a spot treatment rather than an all over moisturizer. Honey is actually a little known super hero when it comes to skincare and moisturizing. Raw honey is completely natural, it is derived from the hives of honey bees. Honey actually acts as an all natural antibiotic that can kill acne causing bacteria on the skin. It is osmotic, which means it absorbs water and converts it into hydrogen peroxide which, in the case of your pores, is a very good way to actually clean out already clogged pores. It stunts the development of new bacteria because it is very acidic by nature, and it contains anti inflammatory properties which can help reduce the size and appearance of pre-existing acne. Honey is also a natural probiotic effectively reduces new breakouts and prevents new acne from forming. Honey does not clog your pores when used properly. Raw honey should not be left on the skin like a traditional moisturizer would. You should use honey as a mask or cleanser so that it remains on skin for a short period of time and it then rinsed off with warm water. It is important to use raw honey as processed honey can contain additives and preservatives that may be bad for your skin. Beeswax is made by female worker bees during the process of making honey. The bee secretes wax to contain the honey in six sided cells, which eventually build a honeycomb. Wax esthers exist in beeswax and also on human skin make beeswax an excellent bonding agent for many cosmetic products such as moisturizers, cleansers, and soaps, It is easily blended with both water and oil, reinforces the action of many soaps and detergents. It is not reactive, so if mixed with any other cosmetic it will not cause a negative reaction. Beeswax has an incredibly low cosmodegenic rating, meaning that beeswax alone will not clog pores when used reasonably and with moderation. Beeswax can cause an allergic reaction in those who may be allergic to bees, honey, or other bee byproducts. Beeswax can heal and soften dry skin, and also has antibacterial properties to promote even further healing. It is a very versatile substance and is used in a wide variety of cosmetic products such as shampoo, soap, conditioner, lipstick, moisturizers, and ointments. Beeswax is a great, all natural and holistic remedy to dry skin and other ailments of the skin. Does almond oil clog pores? Almond oil is a byproduct of raw pressed almonds, which have a large variety of health benefits of their own. Little to no heat is uses in the pressing process which preserves the beneficial chemical compounds that are contained in the oil. Some believe that using almond oil on the skin is a beneficial treatment of acne. Almond oil is not greasy, and usually carries a sweet, pleasant scent. It contains a very high level of fatty acids which make it very easily absorbable by the skin, as it naturally resembles the makeup of sebum. These fatty acids are also known to dissolve build up of sebum and dead skin cells, clearing out blocked pores and preventing new buildup from occurring. Almond oil can be used as a cleanser on dirty skin, which will remove any surface debris like makeup or dirt, and should then be rinsed away. You can also apply it in small amounts on clean dry skin as a moisturizer. Almond oil may trigger an allergic reaction in those who have an almond allergy or may be allergic to other nuts. It is always good practice to do a patch test before committing to using a product over larger areas. Does Bare Minerals clog pores? Bare minerals is a mineral makeup that was designed to prevent breakouts and oily skin while maintaining a natural look that is not cakey or detrimental to the health of skin. Some people love the use of mineral makeup because it stays put and does not run due to sweat or humidity, all while remaining natural looking. It is made of most of the ingredients you would commonly find in other over the counter cosmetics however these are purified in a lab before being used in any product, making them more refined and less likely to have a negative effect on skin and pores. What really separates mineral makeup from conventional makeup is that it lacks the presence of parabens and preservatives as well as dyes and added fragrances. These additives are commonly known to cause breakouts and blemishes due to clogged pores. Because bare minerals does not contain these additives, it is far less likely to cause a breakout or to clog your pores when used reasonably and removed each night before going to sleep. There is a small chance that clogged pores may occur with the use of bare minerals because each person’s skin and skin type are all different. Does vitamin e oil clog pores? Vitamin E oil is a very important moisturizer for skin. It has antioxidant properties, meaning that it can prevent and repair damage to skin cells caused by the elements and other outside forces such as scrapes or scarring. Vitamin E is most commonly available via an oral supplement, where it is digested and your body can benefit from its properties, however vitamin E oil can be used topically as a moisturizer and to help heal damaged skin. Vitamin E oil has a very large moisture content, so it’s potential to clog pores is much higher than other oils commonly used in the skin care field. Vitamin E is fat soluble which means that the skin does typically absorb it with ease however it also holds the vitamin e oil for much longer than it would a conventional moisturizer or another oil. This can lead to clogged pores, blackheads, acne, and oily skin. Those who may already have particularly oily skin should not used vitamin e oil as it is more likely to make oily skin worse. Coconut oil may be a better substitute as it is more easily absorbed and also contains vitamin e.
Does baby powder clog pores? Baby powder is a common name for what is actually talcum powder. Talc is its primary ingredient and fragrance is usually added. Traditionally, baby power is used to prevent diaper rash and as a deodorant for babies and toddlers that are still of diapering age. What makes baby power a commonly used product for the skin is the fact that it dries out the skin, removing excess moisture and preventing oil from accumulating on the surface of the skin. Baby powder may even be beneficial to those with clogged pores as it will dry out any moisture or oil inside the pore, allowing the remaining dirt and dead skin to be washed away with relative ease. Baby powder on its own should not clog pores at all, it should actually help to eliminate clogged pores, however if you have used a thick moisturizer recently or a product that leaves behind a greasy residue, using baby powder directly on top of that may clog pores or worsen a breakout you are already experiencing. For best results, skin should be clean and dry before using baby powder. Does emu oil clog pores? Emu oil is an oil derived from the emu bird when it is processed for its meat. It is taken from the fat of the bird and refined to create a usable oil that can be beneficial to the skin. It has been said that emu oil contains anti-inflammatory properties that would be beneficial to the skin by making breakouts less inflamed and tender. Because of its very high fat content, emu oil is easily absorbed into the skin and does not usually clog pores. It is transdermal, meaning that it absorbs into the deeper, under layers of skin, carrying its nutrients and positive properties through the dermis. When used on its own, emu oil absorbs quickly, leaving behind little to no residue on the face and no greasy film. Because of this, it is also less likely to be responsible for the clogging of pores. Emu oil is a bit obscure and may be expensive or hard to come by in some regions. It is graded on an alphabet system to determine the quality of the product with Grade A being the best for use in cosmetic nature, and Grade C being the worst, for use in animal feeds and some soaps. Many people use makeup to hide the appearance of blemishes or to perfect the look of their face and features. When used correctly makeup can have little to no effect on your complexion, however if you do not take care in choosing, applying, and removing your makeup you can turn a mild acne problem into something much worse. If you have preexisting acne, makeup may not be the best idea as it could possibly block the already affected pores and prevent the breakout from getting any better. When choosing makeup you should pay close attention to the label. A non comodegenic makeup means that when used correctly it is unlikely to cause acne or breakouts by clogging pores. A comodeginic makeup will clog pores and make existing skin problems worse. Layering makeup can clog pores by suffocating the skin and pushing dirt and makeup down into the pores. It is also very important to remove makeup each day before going to bed, as you sweat overnight and the buildup will clog pores and damage your complexion. You should always go to bed with a clean, dry face. Aquaphor is a topical cream for the skin that contains mineral oil. It has many beneficial uses, such as promoting healing on dry, chapped skin, moisturizing dry skin due to conditions like eczema and psoriasis. It helps to regulate the level of moisture in the skin by alleviating dryness. It locks in moisture by forming a protective barrier over skin and shortening the prospective healing time of damaged skin. Skin that has been damaged in many forms such as wind, acne, and scarring may all benefit from regular use of Aquaphor. Aquaphor is completely non comodegenic, meaning that it will not clog pores when used properly. It allows pores to breathe rather than trapping dirt and oil inside the pores and creating a bigger problem. Aquaphor is hypoallergenic and does not contain any perfumes of preservatives, which makes it a great option for people of all ages, including babies. Aquaphor can also be used as a diaper rash ointment because of its skin protectant properties. Aquaphor can be used in large amounts regularly without worry of clogging pores or causing acne. Its main component is petroleum, making it an excellent skin protectant all year, particularly in winter when skin tends to be drier and more prone to dermatitis.